The Bäco is a fresh, homemade flatbread folded around everything we want to eat: tasty grilled or braised meats and vivid, seasonal vegetables along with tangy sauces and aromatic spices. 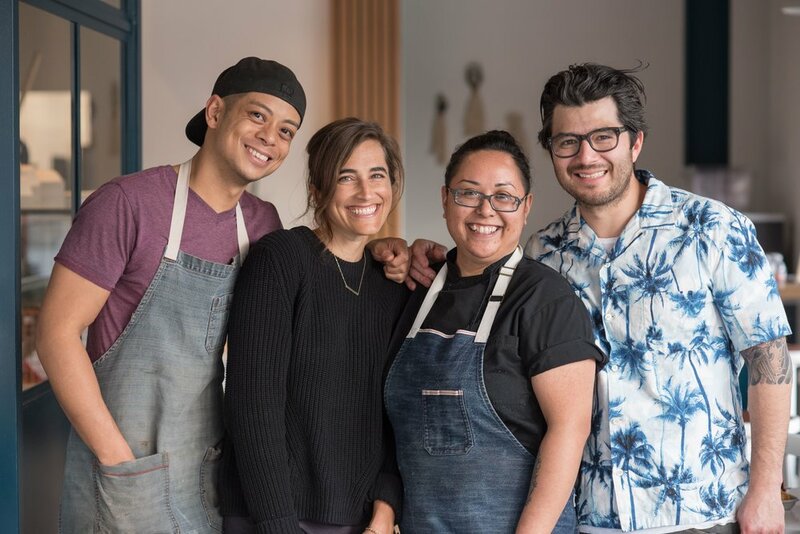 Chef Josef Centeno made the first Bäco nearly a decade ago as a popular staff meal after long kitchen shifts. The flatbread has become a vessel for his creativity, a springboard for inspiration. riffing on flavors from Spain, the Eastern Mediterranean, Latin America, North Africa, Eastern Europe, and parts of Asia. It’s a Bäco burrito-style! The dough for the Bäcorrito is rolled thin, griddled, and wrapped around the same delicious Bäco fillings. In the heart of downtown Culver City, at the corner of Washington Boulevard and Irving Place. On the same block as the Culver Hotel and Arclight Cinemas. Yes. Metered street parking is available along Washington and Irving. Watseka Parking Garage is located across the street at 3844 Watseka Ave. Absolutely! Check out our catering menu here. Delivery is available via Caviar. BäcoShop takes all major credit cards, as well as cash. Mon-Fri 11 a.m. to 8 p.m. Sat & Sun 11 a.m. to 7 p.m.